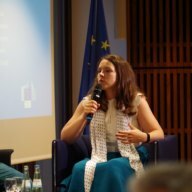 April 17, 2018	 Civil Dialogue: For a Europe of the Future?! 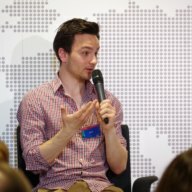 Is there a European Identity? 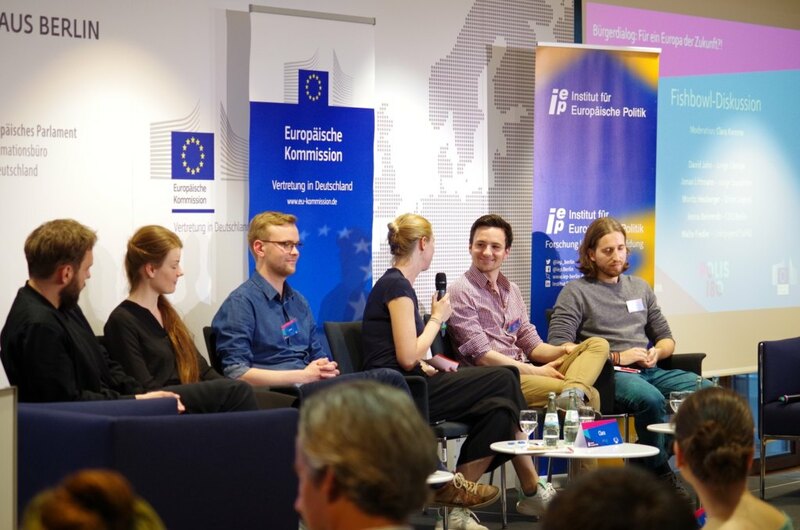 On the day of Emmanuel Macron’s first speech to the EU Parliament, in which he called for a re-development of the EU, the Representation of the European Commission in Berlin provided a platform for young politicians of five different German youth parties to engage in an intergenerational discussion on a European identity and the future of the EU. 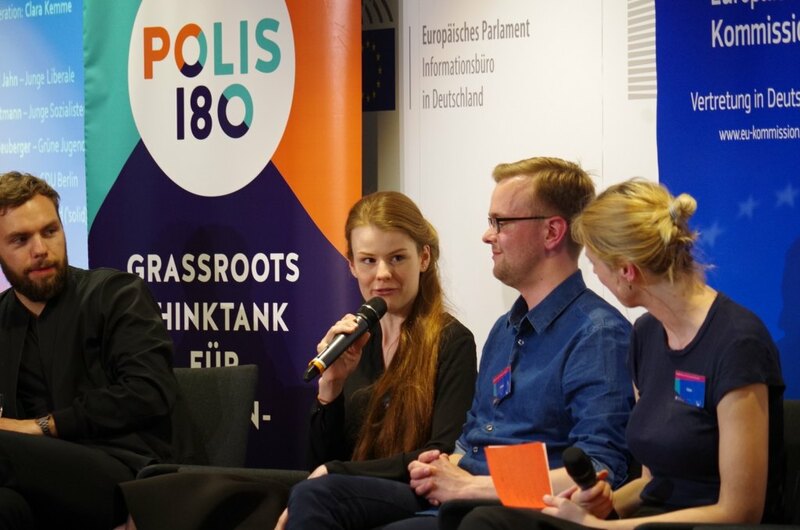 The civil dialogue was initiated by the Institute for European Politics, the Representation of the European Commission in Berlin and the think tank Polis180. 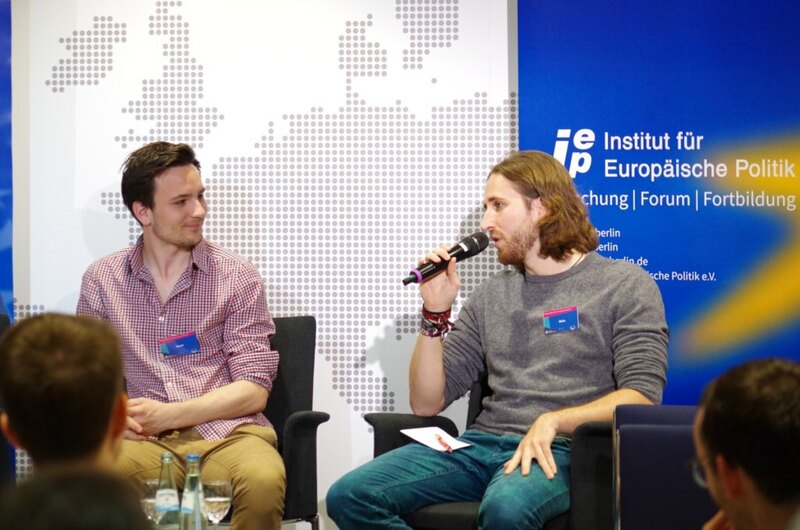 The paper published by the network “Alternative Europa!” provided the basis for the discussion, as it assessed the concept of a European identity and examined concrete policy recommendations for the promotion of a European identity. 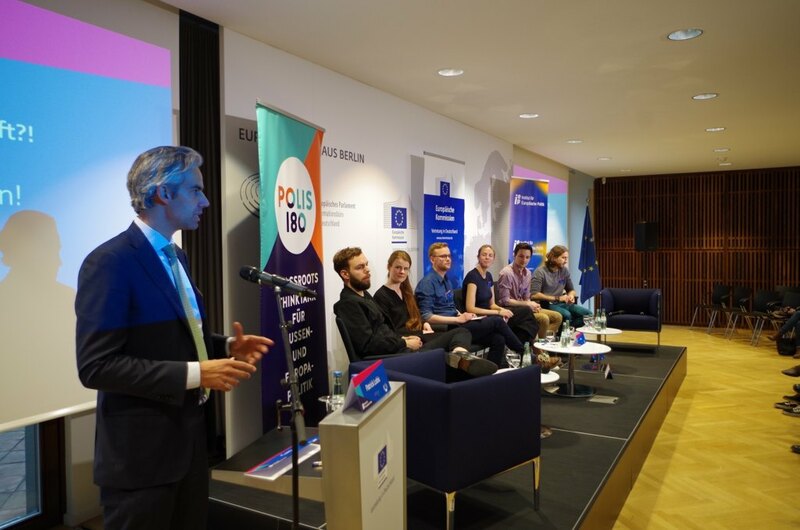 Participants on the panel included Malte Fiedler from the Left Youth, David Jahn from the Young Liberals, Jonas Littmann from the Jusos, Jenna Behrends from the CDU Berlin and Moritz Heuberger from the Green party. The civil dialogue was held in a fishbowl format, allowing the young audience to actively participate. 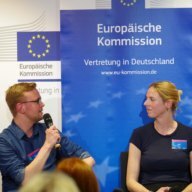 Patrick Lobis from the Representation of the European Commission in Berlin and Carolin Marx from the Institute for European Politics welcomed the guests. 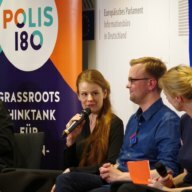 Clara Kemme from Polis180 chaired the event. 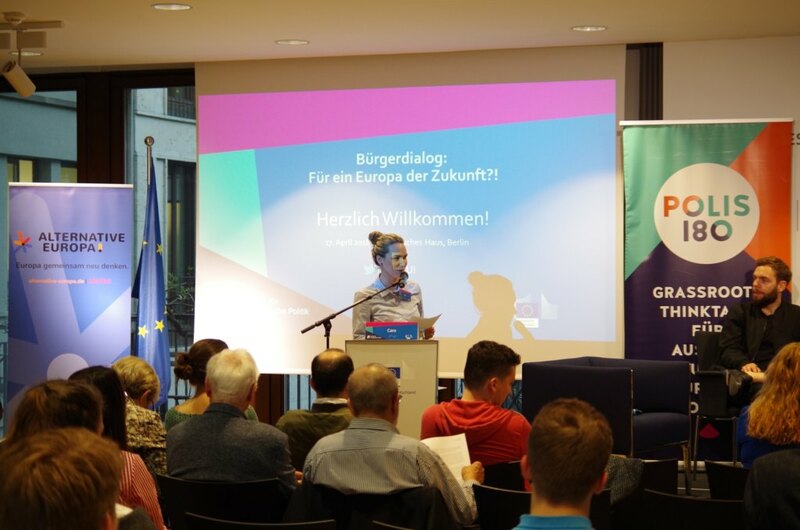 The discussion paper of the network “Alternative Europa!” proposes the emergence of a European identity, in addition to the already existing national identities in the EU; as such an identity provides a solid basis for a stronger EU, supported by its citizens. Among other things, this would significantly foster cohesion and unity in the EU. The paper particularly mentions concrete policy recommendations in the areas of participation, publicity, solidarity and a European narrative. In the wake of strong populist and Eurosceptic parties in Europe, the emergence of a European identity was critically discussed with consideration to the broader question of legitimacy of the EU and the benefits for its citizens. 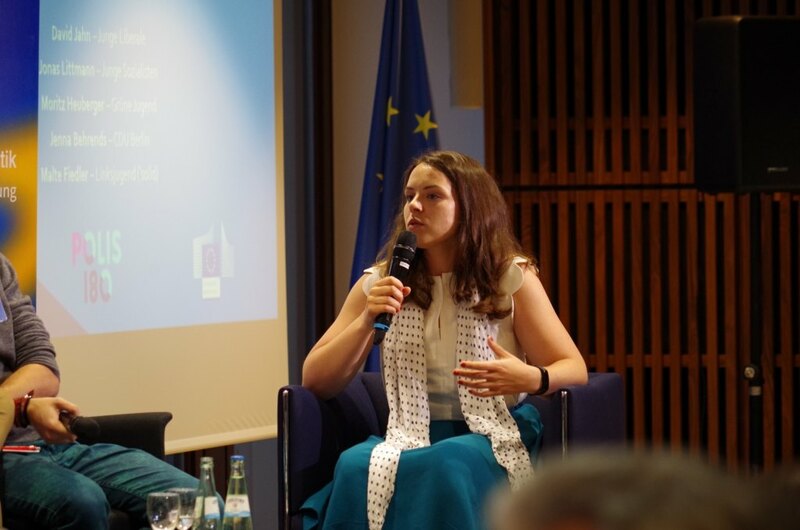 Several questions were raised, for example on whether the importance of the EU could be further strengthened through a European identity, even for regionally anchored citizens all over Europe. All of the speakers perceived this aspect to be crucial to counteract Eurosceptic and nationalist resentments. 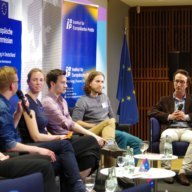 Even though all speakers shared the overall value and importance of a European identity, clear differences were identifiable with regard to the concrete meaning of a European identity. 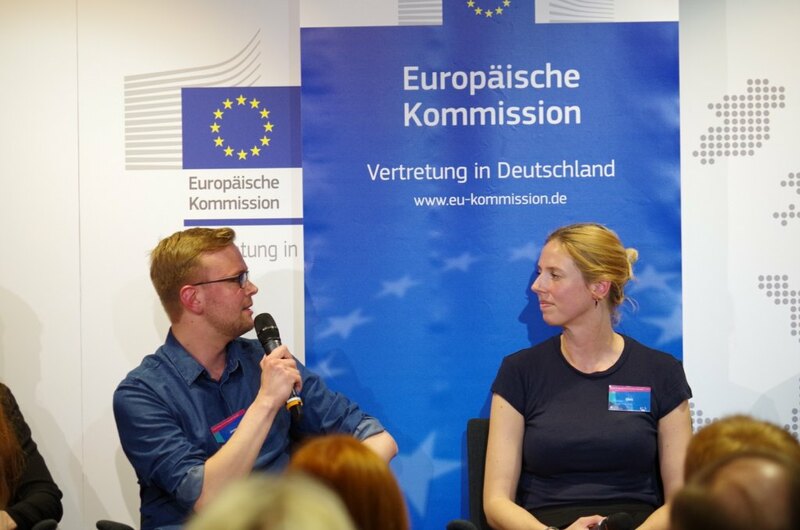 David Jahn, from the Young Liberals, and Jenna Behrends, from CDU Berlin, perceived co-existing regional, national and European identities to be a crucial instrument for the promotion of citizens unity on all regional levels within the EU. 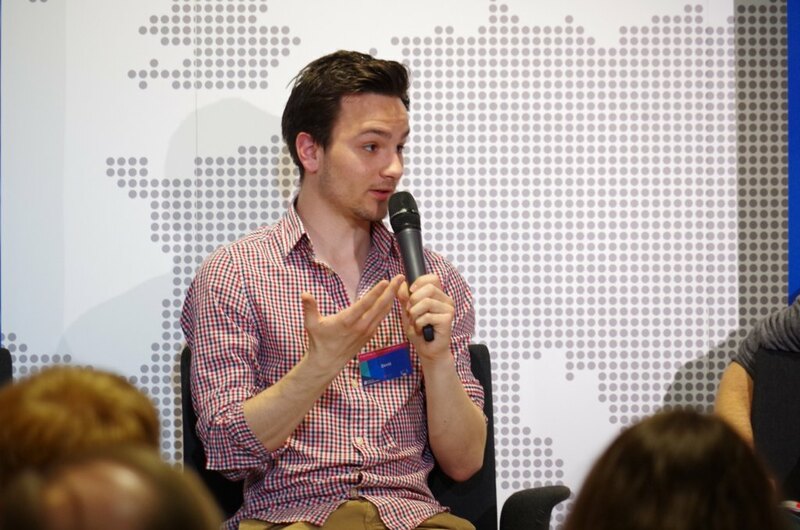 On the contrary, Malte Fiedler, from the Left Youth, and Moritz Heuberger, from the Green Party, fundamentally questioned the construct of identities defined by regions. 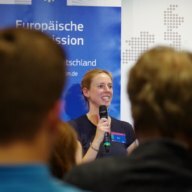 They criticised that unfortunately European citizens do not automatically share similarities simply because the live in a common location or region. In addition and as a matter of principle, regionally anchored identities would automatically exclude individuals in other regions. Instead, European identities rather develop, for example through material similarities or shared values that are not be subjected to any form of hierarchy. The audience objected that those identity constructs would not provide for cross-group solidarity, as it is envisioned for a European identity. 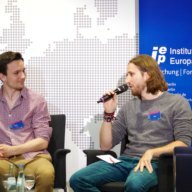 A European identity would bring about the advantage of fully embracing all people within a region and consequently to promote unity and solidarity. Moreover, national resentments could be overcome through a European identity. Interest-based identities on the other hand do not provide a basis for cohesion in society, unless equipped with additional supplementation. 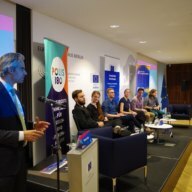 Regardless of any disagreements, all speakers agreed that the promotion of a European awareness through transnational exchange programs, accessible for all social classes and educational levels, represents a reasonable possibility. 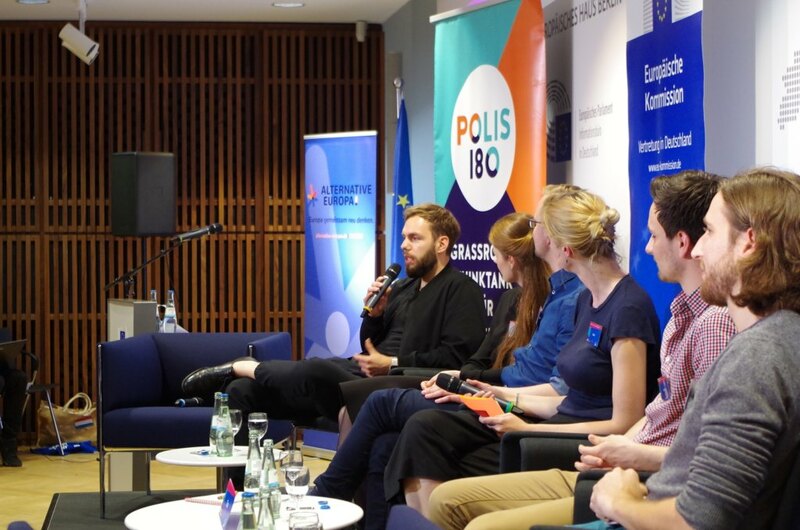 In addition, the audience requested that EU policies should be more directly addressing the European population, in order to strengthen their awareness of the EU and optimise its importance for all European citizens. 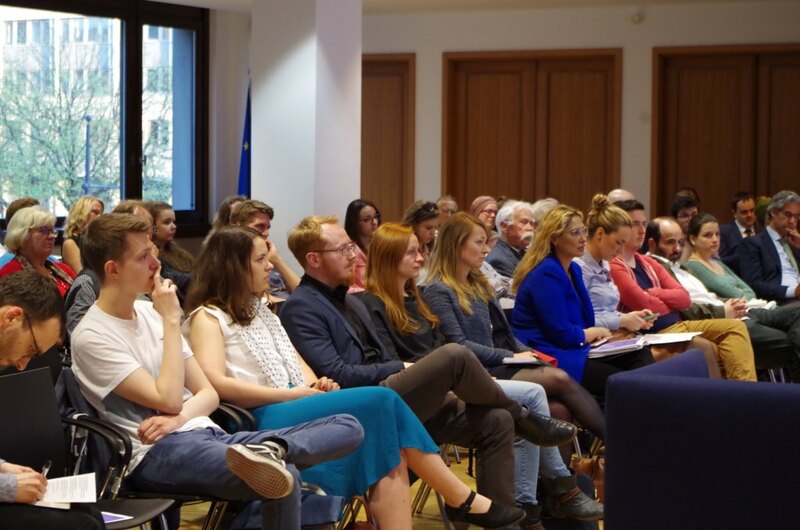 Besides the discussion on the importance and perception of different national identities, the participants additionally assessed various European objectives for the future. Hereby, the idea of a European state was raised in the discussion. 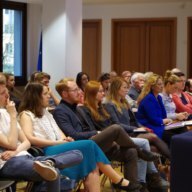 Almost all of the speakers demanded an enhanced and fundamental debate on the policy direction of the EU, in which concrete goals will be defined. 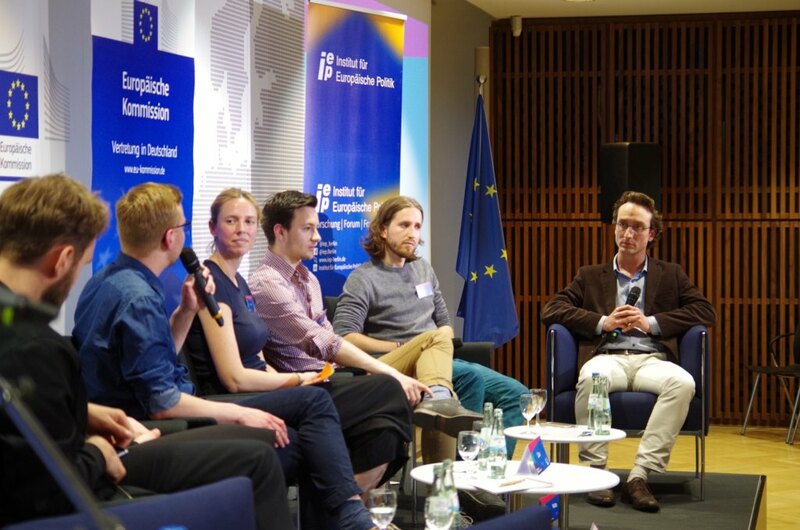 Although the superstructure of a transnational peace-building association is of great importance and relevance, the younger generation needs a comprehensive debate on the legitimisation of the EU. 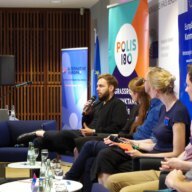 Instead, the audience and the politicians from the Jusos, Green Youth and Left Youth suggested uplifting the eradication of social inequality as a central topic of importance for the EU. Here, a European social policy could act as an incubator. 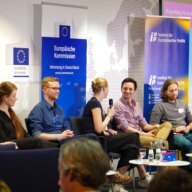 A European social policy would refer to the immediate reality of human life and provide an added value to every single EU citizen. 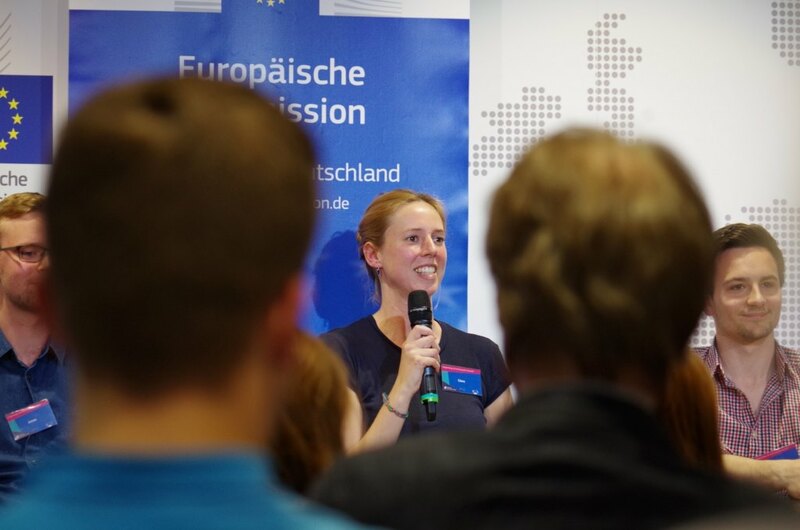 Through this initiative, the EU could foster unity among citizens and legitimise the EU. In addition, in order to achieve more unity, the European participation mechanisms need to be strengthened and the democracy deficit deconstructed. Moreover, the EU should be more active instead of being driven by its critics. For example, the EU could use its strong position to promote a socio-ecological transformation. Alternatively, the audience proposed the acceptance of the unified internal and external security policy as a top priority. 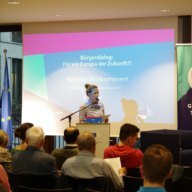 The audience and all penalists agreed that it is about time to think about fundamental reforms in the EU and the adaption of treaties. French President Emmanuel Macron has proposed a variety of visionary proposals for the successful continuation of the European project. Fundamental reforms could emphasise the role of the citizens as sovereigns of EU policy and demonstrate the supporting role of the EU within everyday life of citizens. 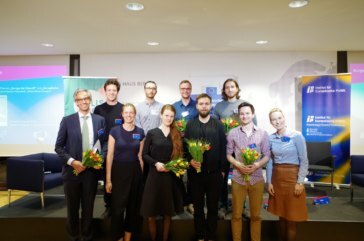 Together with the civil society, the EU should tackle the future visionary and imaginative, in order to successfully approach the future of Europe.